TEENAGERS should no longer be paid disability allowance to save the State €10m per year, an expert group has warned. The group set up by Social Protection Minister Joan Burton said that the disability allowance of €188 per week should not be paid at 16 because it was encouraging early school leaving. It said that increasing the payment age to 18 would save €10.4m per year. Ms Burton had previously planned to bring this measure in a year ago – but dropped it from her budget due to a storm of protest from disability groups. She is now going to consider it during the preparations for the next budget due in October. The expert group chaired by civil servant Ita Mangan said disability allowance had historically been paid at the age of 16 since the 1950s – when many people with disabilities left school at the mandatory age of 14 and had very few opportunities to work. But it said this was no longer justified because there was now strong evidence that payment of disability allowance from 16 could encourage early school-leaving and generate welfare dependency. “This creates greater poverty risks and higher likelihood of suffering social exclusion,” it said in its report. It recommended that the parents of teenagers aged 16 and 17 should instead be given domiciliary care allowance – a payment of €309.50 per month for those with severe medical and care needs. But this would result in an upfront financial hit of around €6,000 per year to teenagers – because domiciliary care allowance (DCA) is worth far less than the weekly disability allowance payments. However, the expert group did not recommend an increase in DCA payments. It said that there were also additional benefits received by many families on DCA, such as the free TV licence and electricity and phone allowance, the carer’s allowance and the respite grant. 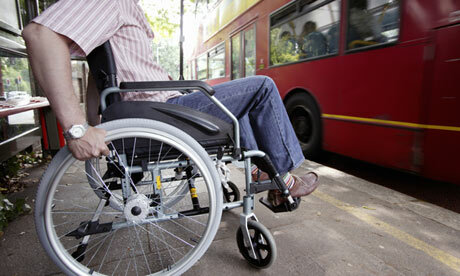 Any change made by Ms Burton in the budget will not affect 16- and 17-year-olds currently getting disability allowance. The expert group recommends that the change be introduced in January next for new claimants only. It also called for the abolition of the “Incapacitated Child” tax credit worth €3,300 per year – which it said was duplicating other social welfare payments. In a statement Ms Burton said that the Government would be “carefully reflecting” on the findings of the report.